Linux-Informix is a discussion forum on the use of Informix products on Linux. citation from below URL ]. the bufferpool). Possibly such corruptions may also be written to disk. necessary to be sure to fully correct the problem. as suggested at the above SUSE URL, can prevent all problems for Informix. Certainly it can not correct any corruptions already written to disk. The online.log did not include anything about the problem. Which Linux flavour (distro) are you using? What does the message log show? I have a problem with Informix IDS 12.10 installed on Linux. I restarted the Linux server but did not help and I cannot start Informix. Any ideas how can I fix the problem. The following e-mail was sent to you via Linux-Informix Forum from Paul Seed (christopher.p.seed@boeing.com) at IP address 81.128.145.144. Did you manage to resolve this issue you posted on the IIUG website (http://members.iiug.org/forums/linux-informix/index.cgi/read/1643) on 15/05/2017? 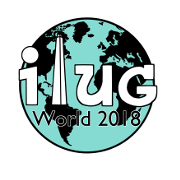 We are experiencing the same problem and there doesn't appear to be any responses on the IIUG website to your post. connect to twn USER "root" USING "password"
where this problem comes from. ..rhosts an hosts.equiv don't seem to be the problem. password or user is not known on the database server. It works fine for every other user. the host says it's listening on port specified. Ubuntu and my program is made in .NET, running from windows. I am looking for help polishing off a configuration with our new IDS instance. 425: Database is currently opened by another user. 107: ISAM error: record is locked. doesn't show when we scan directly from the Rf gun. parsing code with delimiter we are stuck. 12:26:29 Successfully added a bufferpool of page size 2K. 12:26:29 Could not determine encryption mode from page zero. 4gl will call this script. After getting file name from script we will load lines in file into a temp. Later i want to process data in temp table. How can I return file name from script to 4gl program ? parameter that specifies the password to be synched ? roll-backing data as we are unable to see data in error table defined. -- Unloaded data to a file from table...unloaded row well.. So how record was rolled back without "rollback work" statement ? Is it because of "close database" statement ? where a § sign needs to be displayed. How can we print this special character using the 4gl report features ?